The wireless industry is currently rolling out 4G connection to our mobile devices. This translates to a faster connection, improved download speeds and interconnectivity between devices. Great news for us all. There are even reports that Nokia is developing a 4.5g network. Imagine downloading a full HD movie online in seconds..? Or the endless possibilities we can achieve by a having faster connection. It’s about to even get even more awesome…. Last year at the World Mobile Congress, Huawei and Ericsson announced developments for 5G. The Fifth Generation (5G) of wireless technologies….. This translates to, even more, faster data speeds, very low delay between connection with devices. Improving from 50 milliseconds to 1 millisecond… And a more connected Internet of Things. Key drivers of this emerging technology are The EU – European Commission and Ericsson. The EU considers 5G as a game changer and developed a 5G Action Plan that will bring an interconnected industry by 2020 or even before that. It will allow all businesses to benefit from ad hoc, flexible connectivity services matching the specific requirements of each particular business, be it in term of quality of service, security or coverage. In short, 5G will be a key enabler for the digitisation of industry that the Commission is promoting under the Digitising European Industry initiative. Ericsson has particularly been at the forefront of the 5G drive.. It’s establishing 5G heroes, making partnerships with various industries and developing communities - an initiative that led to the birth of this post…. 5G is much more than just faster data speeds on your mobile devices. In addition to low latency and near-instantaneous communication, 5G brings, even more, capabilities like allowing Networks Providers to provide networks on as-a-service basis i.e agile networks and greater efficiency. A 2016 Ericsson survey identifies 8 industries that the implementation of 5G will have a huge positive impact on the growth of such identified industries. The Automotive Industry providing high-performance, secure networks. Especially for the fast-growing driver-less vehicles niche. -Utilities industry cutting costs and securing facilities ; - Public Safety – High-tech manufacturing – The Internet – The Healthcare Industry – The Financial Services Industry and - Media and Gaming industry bringing even greater immersive experience. We all know how immensely important robots have become in our lives. From helping in life-changing surgeries to making life easier across all industries ... Nowadays, we literally can’t do without them. You probably have heard of cloud storage/computing… Think iCloud, Blockchains, Online Data Streaming and AWS for programmers. Cloud robotics takes this to the next level. It allows robots to benefit from the powerful computational, storage, and communications resources of modern data centers. Think Skynet – the very popular fictional neural net-based conscious group mind and artificial general intelligence system. 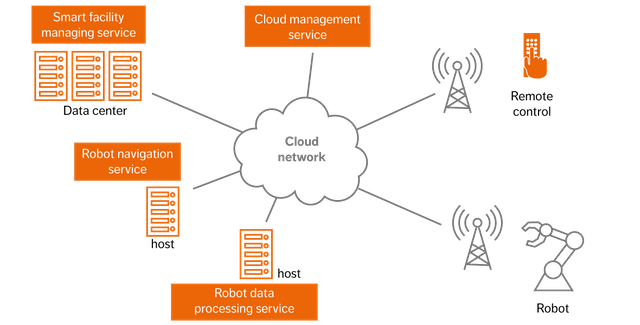 Essentially, cloud robotics help robots share information with peers thereby enabling faster and more efficient learning. This is particularly very useful in hazardous environments like high-tech manufacturing industries. Recently, Ericsson partnered with 2 Tuscany based Bio-Robotic Institue and an innovative robot-making company to work on an exciting 5G opportunity – Mobile Cloud Robotics . 5G will give robots access to unlimited computing power delivering more flexibility, usability, and more affordability. 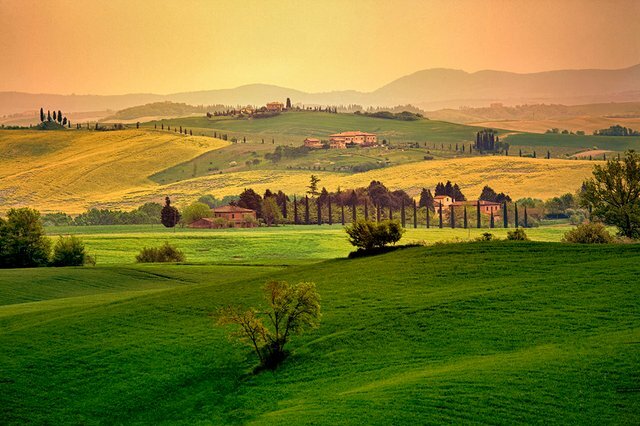 Tuscany is a region in central Italy. Its capital, Florence, is home to some of the world’s most recognizable Renaissance art and architecture, including Michelangelo’s "David" statue, Botticelli’s works in the Uffizi Gallery and the Duomo basilica. Its diverse natural landscape encompasses the rugged Apennine Mountains, the island of Elba’s beaches on the Tyrrhenian Sea and Chianti’s olive groves and vineyards. Being a historical fertile ground for innovation led Ericsson to undertake a number of research partnerships all underpinned on the power of 5G. For Internet users and business operations, Ericsson partnered with leading Italy’s largest operator, TIM to provide faster connections and higher bandwidth. This partnership is aimed at developing coss-industry innovation starting from Tuscany through the whole of Italy. The Port Of Livorno is the gateway to Tuscany and that of great cities like Florence and Siena. It was especially very vital in the growth of Italy has a cultural Giant during the Renaissance through exportation of food, wine, fashion designs and other innovative ideas/products. 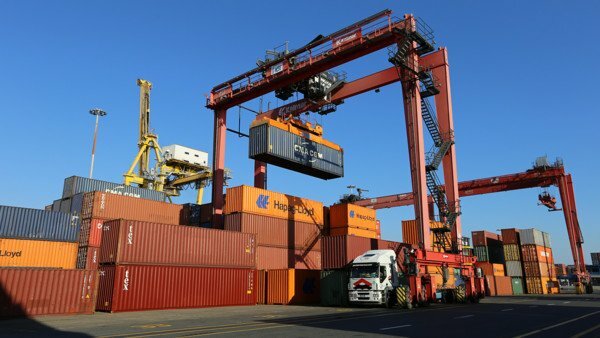 So in conjunction with the Livorno Port Authority, Ericsson is laying the groundwork for a connected port that will serve the millions of cargo and tourists that pass through the port every year. The connected operations will involve swarms of connected robots – Unmanned Ground Vehicles(UGV) coordinated from the cloud i.e cloud robotics helping to load and unload cargoes and seamless connection between various departments and institutional bodies. All powered by 5G. In this area, Ericsson partnered with two leading biomedical, biotech companies, Imaginalis and EI.En to push the boundaries of existing biomedical and robotic technologies. Ericsson using the power of 5G is helping Imaginalis to perform advanced remote diagnosis of patients. This is made possible by improving data connectivity and compression. 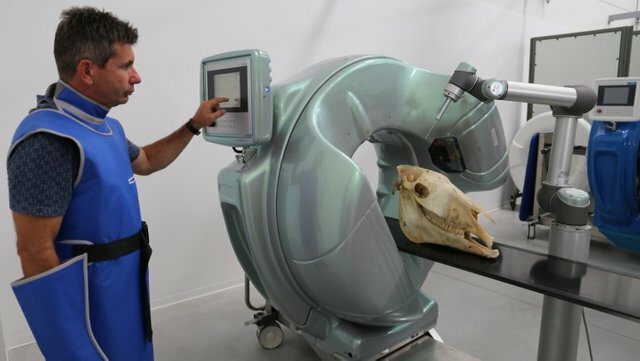 EI.En is also using the speed and power of 5G connectivity to produce sophisticated software that will help power robotic-assisted laser surgery by ensuring efficient rendering of 3D CAT scans amongst other benefits. More interestingly, with a fusion of 5G and Cloud robotics, doctors are able to tele-assist patients with the aid of connected live-in robots. Among the future technologies envisioned to change the world by 2020, 5G and Cloud Robotics are likely going to be key drivers of this movement. Like every other technology, there are certainly going to be some side effects. It is hoped that the positive effects will have greater impacts in our lives and that of future generations. It’s been quite a while I wrote a post save for SteemMag. I write every now and then on topics – (AI, Economics, Psychology and All Things Tech) - that pique my curiosity. Over to you.. Do you think technology is truly ‘eating’ the world? Is there a chance we might have wars against the robot? What other technologies do you think we change the world in the near future? Too bad that attitudes and human behavior do not change at the same speed as technology. It is even worse with technology improvements! Wow, that's quite amazing. In a few years, we won't even recognize the technology. We'll look back and laugh at ourselves. Things have moved so fast during the last 15 years! I wonder if the same can be said for battery optimization though :) Thanks for dropping by.. Im glad you enjoyed the read. Great post.. Sorry I don't have time to get links but just a warning. This information will be very easy to find I promise. Wifi is very bad for health and it falls on citizens (certainly in the US it does) to protect themselves from excessive exposure. Many companies install their own transmitters and they really are not sharing. We see over-exposure and this leads to a lot of things from sleeping problems to cancer. It does not mean eliminate Wifi radiation but direction 5G is probably 1000 times safer. I take the approach to not allow corporations to simply install 5g transmitters just because they can get a bill through congress to allow it. On the bright side we have LiFi technology (light) that is starting to come about that is perfectly safe and has a higher bandwidth. If more were known about the Wifi risks I'm sure LiFi would be getting a big boost in product development. I also have some concerns about health impact of new technologies. Unfortunately we can't or don't want to address this dark side of progress.